You finally arrive home after a long tiring day shopping at the mall; when you find your car, you quickly throw your shopping bags in the trunk and accidently throw your car keys with the bags. You are unable to realise your mistake until you find that you can’t open your car door. Unfortunately, now you are locked out, and trying to figure out the solution. Contacting a mobile auto locksmith can help you get into your car in the fastest and safest way. A mobile auto locksmith offers emergency lockout services that will certainly get you back into your car as soon as possible. Car locksmith experts are experienced, qualified and specialised in car locks of all makes and models. They are outfitted with all the latest tools and equipment of the trade. A good locksmith will reach the client within 30 minutes. You must call a certified auto locksmith company for emergency lockout services. This ensures that their locksmiths have the specialised knowledge and skills to safely get into your car without damaging it. Expert locksmiths know variety of options for getting into your car. One of the most common option is to open the car door to access the trunk release, and the other option is to directly open the trunk lock itself. Some locksmiths may cut you a new key to give you access to the car door or the trunk. Auto locksmiths use different solutions for different situations depending on the make, model and security features of cars. They will access each situation differently and find the quickest and safest way into the trunk. You can also prepare yourself for emergency lockout situations in advance by keeping a spare key with your trusted friend or a family member. In the event of emergency lockout, you can call that person and take your spare key. Doing this can save your time and money on the lock out service call. However, it’s not always possible that your friend or family member will be available when you need them the most. So, it is advisable that you should keep a spare key with more than one person. Else, you can also keep the contact number of your trusted local mobile auto locksmith in your phone. A good locksmith is likely to reach you faster in many cases. The only available option left with you when you are unable to find the right help (for some reason) is to break into the car yourself. This is the least advisable option as by doing this you are likely to damage your car or injure yourself. You may try to access the trunk with the requisite tools (only if you have the right tools). 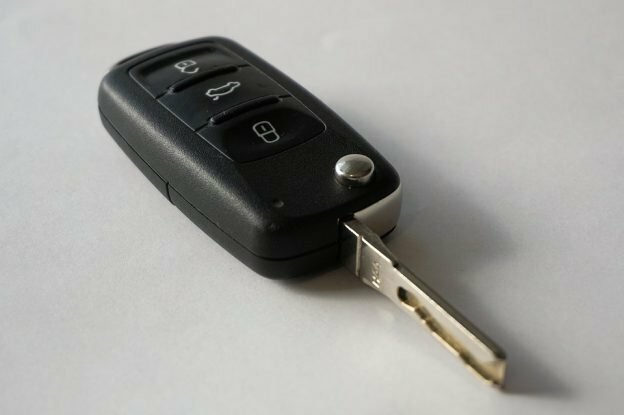 It is advisable to call a trusted auto locksmith who has extensive experience in handling a wide variety of car lockout emergencies in minimum time. A good locksmith can laser cut keys and reprogram keys of all major brands including Audi, Jeep, Holden, BMW, Mercedes-Benz etc. Those who are on a lookout for any kind of specialised locksmith services for their Suzuki vehicle, must keep the contact numbers of reputed Suzuki Locksmiths handy so that they can reach them whenever needed. It is a good practise to keep contact numbers of trusted locksmiths and store a spare key with close friends and family members. This entry was posted in Suzuki Locksmiths on April 24, 2018 by admin.